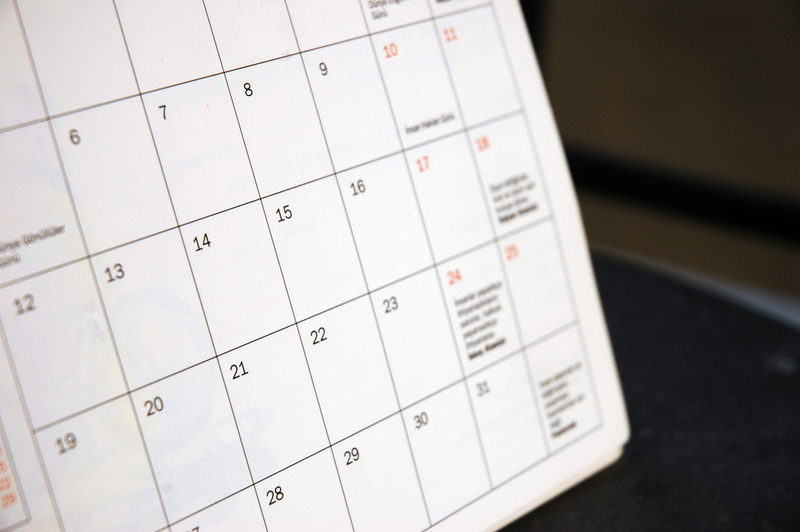 If I asked you to name the holiday that lands on January 1 or May 5, you would probably know the answers. What about March 14 or May 4? If you love pie, mathematics or the movie Star Wars you just might know those holidays too. Lesser-known holidays, such as Pi Day and Star Wars Day, are starting to have an extensive following, and there are dozens of them all over the calendar. Holidays like National Coffee Day (Sept 29) or Go Fishing Day (June 18) are ones that I’m sure most of us didn’t know existed, but they can be a great tool to connect with your customers and grow your business. Most people are not going to randomly send a card or coupon out to celebrate National Ice Tea Day (June 10). However, I’ve said it before, and it bears repeating–standing out in business is always a good thing! A business acquaintance I once knew would send out a postcard every summer wishing his clients “Happy Summer Solstice” (June 21) and announcing his summer specials. It was brilliant marketing in what can be a slower time for some businesses. If you do decide to use these oddball holidays as a marketing tool, be sure to tailor them to your unique business or industry. It wouldn’t make sense for a tech company, for example, to celebrate Beer Can Appreciation Day (January 24), but if you run a restaurant or a bar, it’s the perfect holiday to reach out to your customers. The tech company from the example above could see some amazing potential success by setting up a special coupon that lasts just for Embrace Your Geekiness Day (July 13) or another relatable holiday. That’s the beauty of these unique lesser-known holidays—they are a wonderfully fresh marketing strategy and a great excuse to send an unexpected card to someone, whether it may be a client or a loved one. Using an oddball holiday to drive traffic to your business is not just about standing out from the crowd; it’s also about building connections with your customers. These holidays give you a reason to contact your potential customers, and also give those same customers a reason to reach out to you in turn. Wishing them Happy Chocolate Day (July 7), for example, just might open up a conversation with someone. That simple conversation could help the customer feel more connected to you and your brand, benefiting you in the long run. Anyone who knows me can tell you that I’m a book-reading, movie-watching, science fiction lover! This has let me truly connect with more than one of my current clients because we can talk about what’s on our bookshelf, or why the reboot of a particular sci-fi franchise isn’t nearly as good as the original. A lot of these conversations got started simply because I posted a photo wishing everyone a Happy Star Wars Day (May 4th) or a Happy National Stationery week (April 25-May 1). People want to work with other people, and by leveraging a unique holiday your business can suddenly become a little more human, even if you’re a big brand. As with any form of effective marketing, people can begin to discover what they have in common with you, your staff and your business. My advice is to start taking advantage of these holidays now! Grab a note card or create a fun flyer today and wish everyone you know Happy Aquarium Month (June) or maybe just Happy International Sushi Day! (June 18). You will not only begin to form connections with your customers by breaking the ice, but you’ll also drive traffic and potential profits to your business.